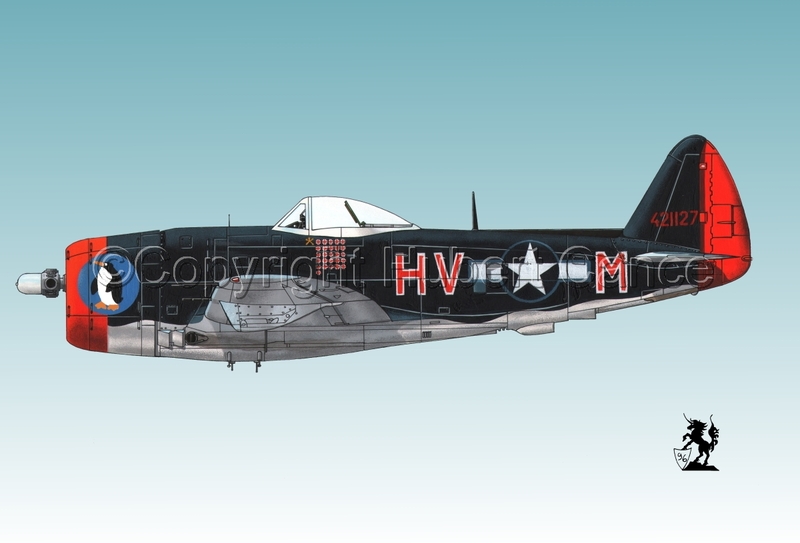 Republic P-47D-30 "Thunderbolt", SNr.42-1127, "Pengie V", piloted by Cpt. Boleslav Michael Gladych, 36 victories, of the 61st. Fighter Squadron, 56th. Fighter Group, VIII Fighter Command, 8th. Air Force, of the USAAC in UK, April 1945. 5" x 7.25"8" x 11.75"11" x 16.25"14" x 20.5"17" x 25"22.25" x 32.75"